I’ve used a variety of what I thought were large phones, such as the Samsung Galaxy Note series, the Galaxy S7, and the HTC 10 but I always went back to my trusty iPhone 5. I know, the iPhone 5 is like a 4 year old device but I never really saw much reason to upgrade. I liked being able to use my phone one-handed and for the most part, it still played nicely with apps and updates. 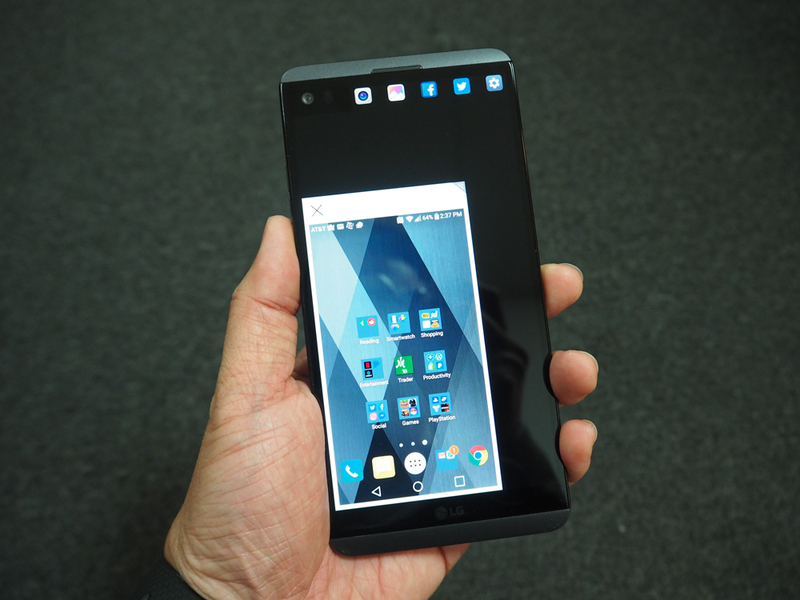 However after using many of these new Android devices, I really wanted to get a much bigger phone. My sights were set on an new iPhone 7 Plus, but after seeing how not much really changed with the looks in comparison to an iPhone 6s Plus, I decided to skip this generation as well. That’s when I heard about the LG V20. 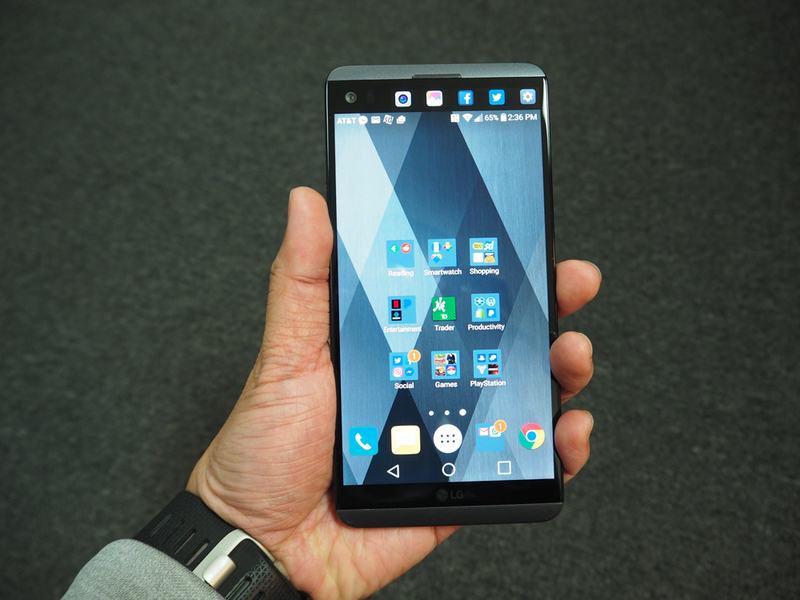 The LG V20 seemed like a device that had everything I wanted. Dual cameras, a fast processor, huge screen, and expandable memory. The question though would be, could I live with a giant phone that was bigger than my iPhone 5 in every which way imaginable? Only time will tell, but from my few days of usage so far, I can tell you a few things about the LG V20. Disclaimer: AT&T sent me the LG V20 to evaluate. This is the Titan varient of the device with 64gb of memory running on AT&T’s network in Miami, FL. 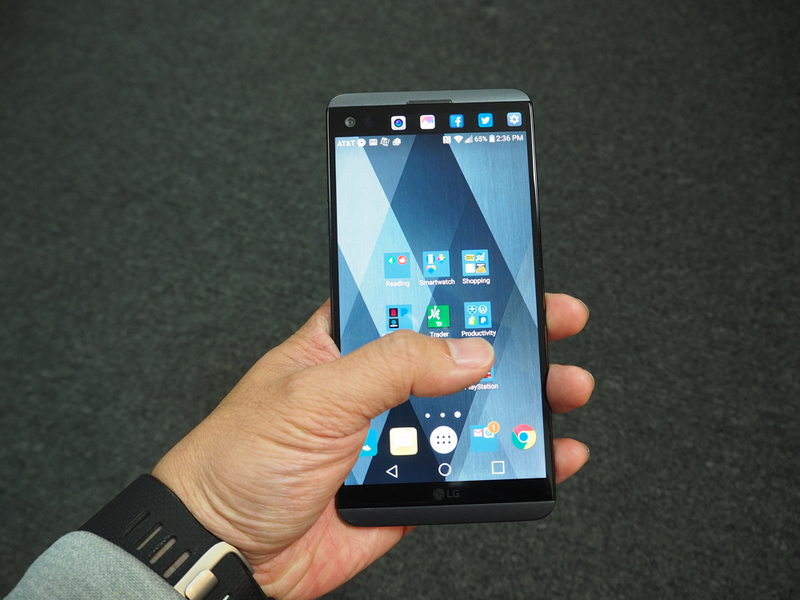 For starters, yes the LG V20 is humongous. 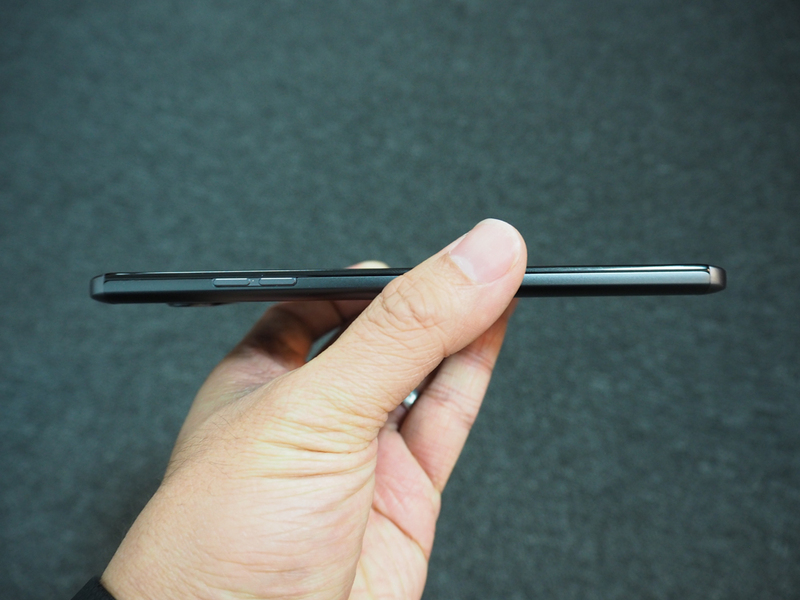 I can still hold it comfortably in my hand and for such a large phone, I’m surprised by how light it is. It’s only about 2 oz heavier than my iPhone 5 which I wasn’t expecting. 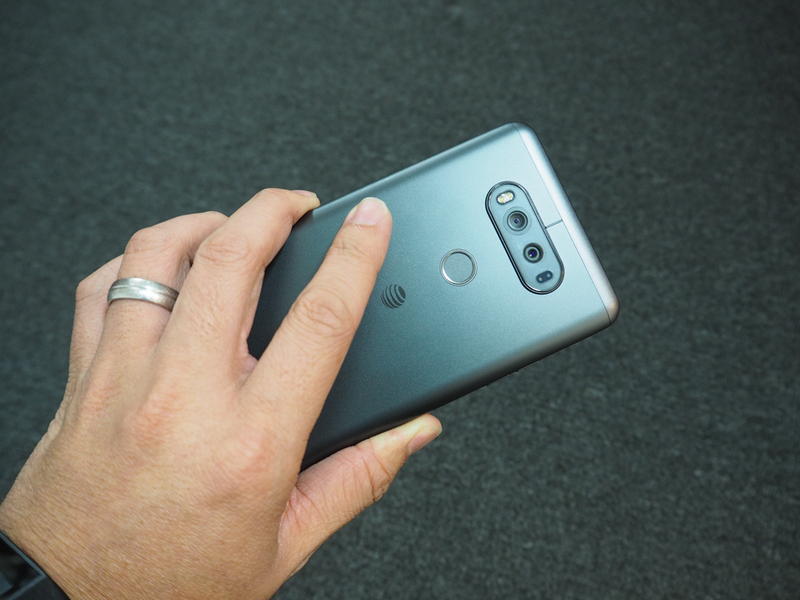 When I hold the LG V20 in my hand, my thumb can almost reach all the way across to the other side and only about a little more than halfway up to the top. Again, it’s a large phone and feels much different than my iPhone 5. 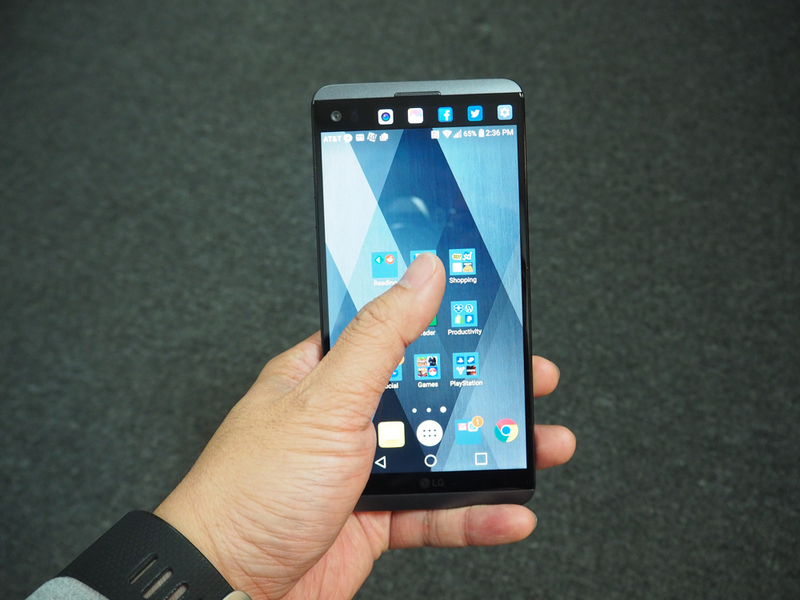 Can I use the LG V20 one-handed? Well, at first it depended on what I’m doing with it. Typing one-handed is possible, but it’s not very comfortable and I don’t do it very quickly. I can browse most of my social media apps one-handed and well as all my news readers. There are some games I can play one-handed, but not many. Pretty much whenever I was using it, I would be using it two handed. That’s until I looked through the settings and found a cool little feature called “Mini View”. Mini View is a neat little feature that will shrink the screen to the size of an iPhone 5 screen and move everything over to the left or right. You turn this on and activate it by sliding the bottom home bar to the left or right. This causes the entire screen to shrink down to a more manageable size allowing your thumb to reach every portion of the screen regardless if you’re holding it with your left hand or right hand. So yes, you can totally use the LG V20 one-haded, but do you really want to? 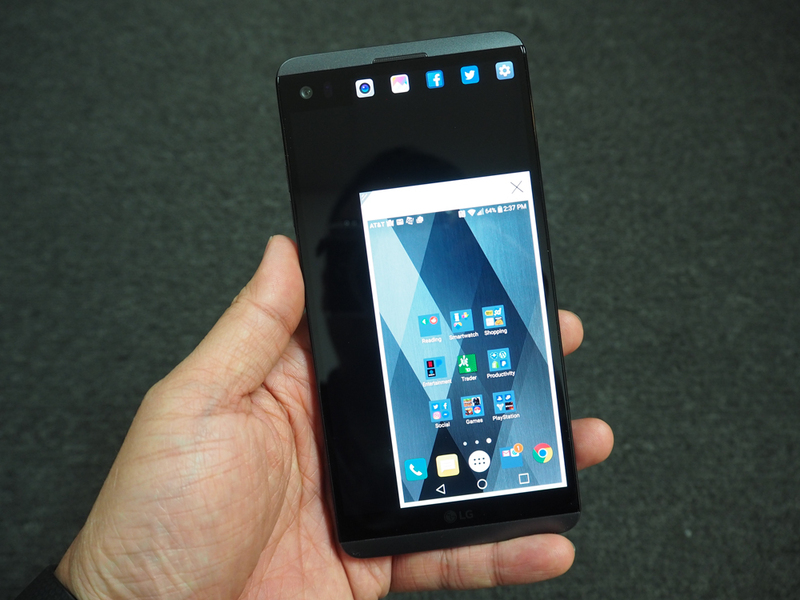 With Mini View enabled, you are only using a portion of the screen which is an insult to such a gorgeous screen. It’s like having a huge television, but only using a small portion of it to watch your shows on. Why would you do that? I for one actually don’t mind two handed use especially if it allows me to enjoy many of my apps on a much larger, prettier screen. I thought that I would miss using my phone with one hand, but honestly I really don’t. If I do, I can always swipe left or right to enable Mini View, but for the most part, I use the LG V20 as intended. With two hands. Of course if you have huge hands like Shaq, continue using any phone you want one-handed.